It’s been a busy week for Politikos, and a good kind of breather is very much needed. 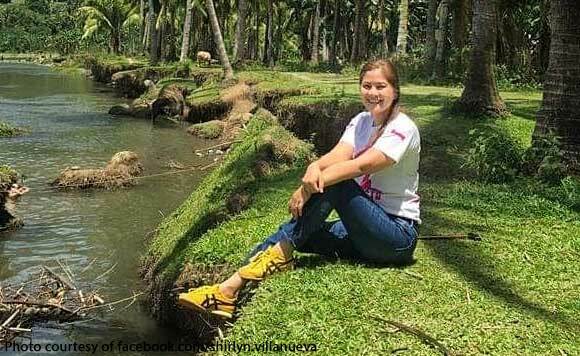 North Cotabato Vice-Governor Shirlyn Villanueva recently shared a spectacular view from one of her quick breaks from the busy campaign period. On her Facebook, the Politiko shared a happy looking photo of her at an outdoor, mini forest. “Blessed to find this during our break from Barangay/Sitio campaign. Ate our lunch beside this river, which actually serves as the boundary of Alamada and Banisilan. Hayahay bah!”, she captioned her post. VG Shirlyn is currently running as Board Member of the 1st District of Cotabato. She had always developed strong ties with the Presidential daughter, and had also previously affirmed her support if the Presidential daughter opts to follow her dad’s legacy.